Luisa wins 3nd place at DNO Nationals in Heidelberg – Deutsche Neurowissenschaften-Olympiade e.V. Luisa Kües, student at the Gymnasium Nordhorn, won the 3rdprice at the national DNO final in Heidelberg. She is very interested in neuroscience and will participate at the international FENS conference in Berlin. 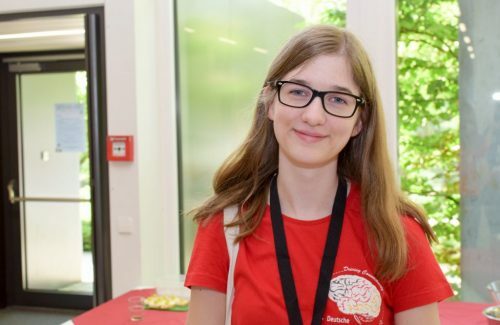 Luisa took part at the DNO competition in Berlin, since she is interested in Biology, Chemistry and Medicine, which are all combined within the field of neuroscience. Furthermore, she saw the participation as a challenge and she absolutely loves challenges. The next challenge will be her university studies, because she just finished school with the Abitur. Luisa would love to study neuroscience and physiology in order to pursue a career in pharmaceutical or biotechnology research. Although the DNO was the first contact with neuroscience for her, she “immediately fell in love” with it. Especially the balance of theory and practice is very important for her. She is specifically interested in adult neurogenesis, since this process is important for plasticity in the brain and gives hope for many therapeutic approaches in the future. Luisa is very ambitious and prepared for the regional (as well the national) competition with the help of study plans and flow process charts she made herself while studying. Thus, she could keep track of her learning progress. Yet, Luisa was surprised that she qualified for the national final in Heidelberg, since the regional competition in Berlin was fierce and many students took part the second time and were thus more experienced than she was. The final in Heidelberg took place at the EMBL, a European research institute situated on a hill above Heidelberg. Luisa took part in a guided tour of the EMBL laboratories and learned about the research in one of the world’s largest research institutions, which she really enjoyed. Luisa will meet the first and second price national DNO winners Maria and Mavie, whom she knows from Heidelberg, in Berlin at the FENS conference. Luisa is really looking forward to meet neuroscientists from all over the world and “to get insight into a wide range of new discoveries in the field of neuroscience” at the FENS conference in Berlin. Her 3rdprice at the DNO final in Heidelberg won her the participation. 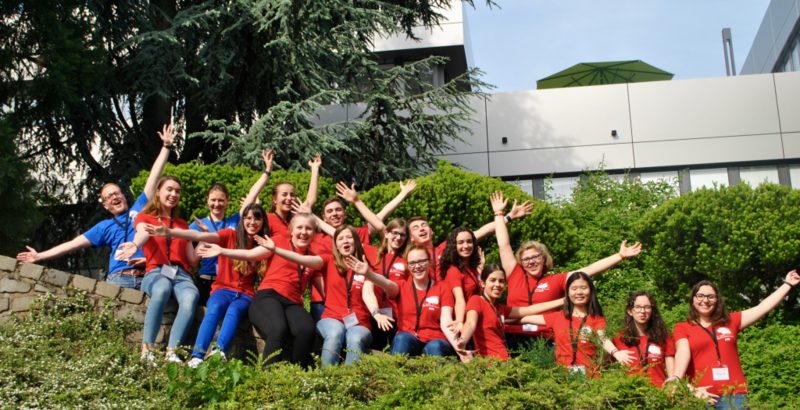 She sees the participation as a grand “opportunity to learn and to network in the heart of the largest international Neuroscience meeting in Europe”. We wish her a great time in Berlin!